"Located in Sindlesham, Berkshire. 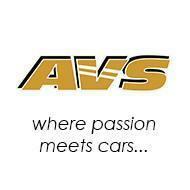 AVS cars is a professional, friendly garage with many satisfied customers. We pride ourselves on offering our services at great prices while providing a truly personal service. Our experienced professionally trained vehicle technicians are here to keep your car or van running smoothly. We use the latest equipment to fault find and repair your vehicle to the highest standard." Unusual to say about a garage, but a really pleasant experience. AVS were friendly, explanative and went above and beyond in terms of their service. Great value and I recommend AVS to all. Excellent service, recovered vehicle and fixed extra problems while looking at originally reported problem. Highly recommended, will use again.